You must make reservations at least 5 minutes in advance of the time at SW Steakhouse - Wynn Las Vegas. 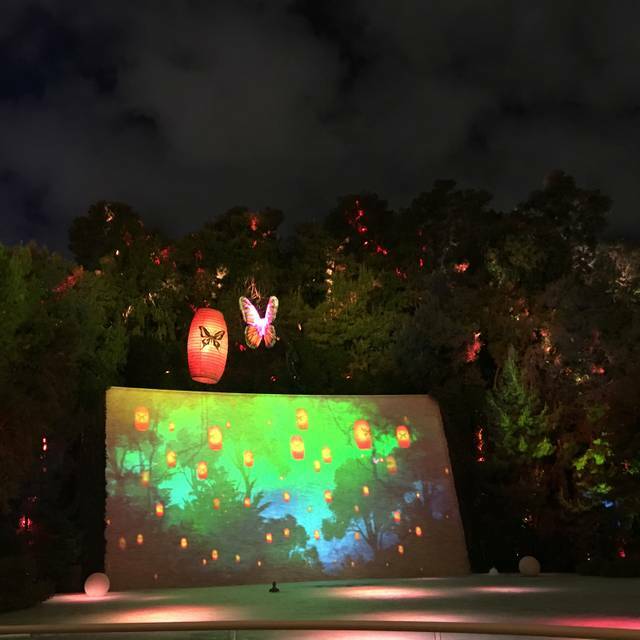 Fully enclosed self-parking is available at Wynn Las Vegas. 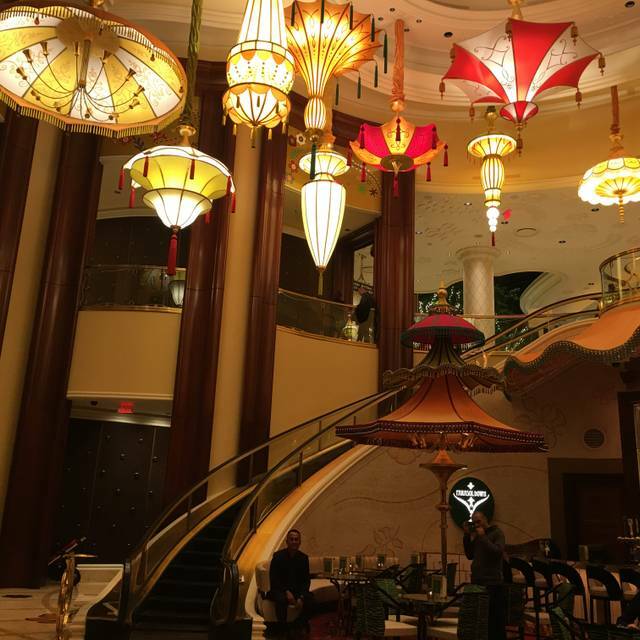 Valet parking is also accessible at the Wynn Main Gate off Las Vegas Boulevard or the Wynn South Gate at Sands Avenue. As of July 1, both self-parking and valet parking will be included in the existing resort fee for hotel guests. For non-hotel guests and local residents, self-parking and valet parking will be validated once per day, per vehicle, upon receipt of any $50. spend within Wynn or Encore. Star chef David Walzog presents his unique interpretation of the classic American steakhouse along Wynn's Lake of Dreams. As befits a top-notch chophouse, SW offers a selection of expertly charred steaks, including a succulent porterhouse-for-two, New York strip, dry-aged tomahawk chop and Walzog's signature chile-rubbed double cut rib eye. 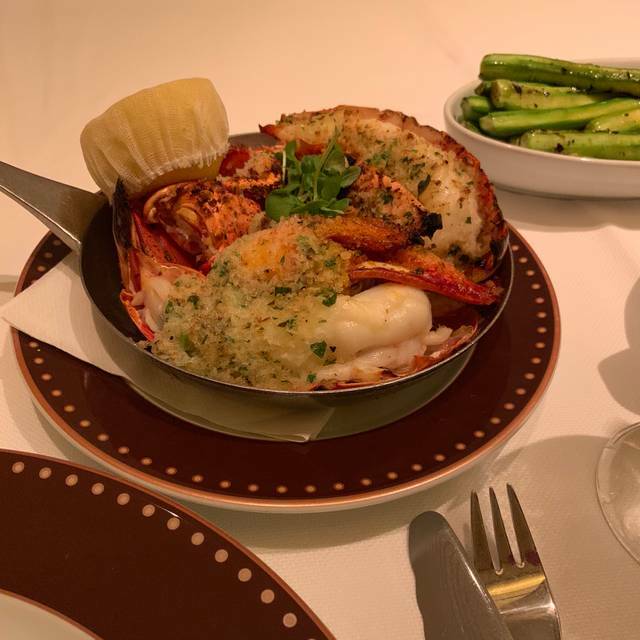 SW also offers a wide variety of seafood and poultry options, and such innovative side dishes as black truffle creamed corn and cipollini onions with charred jalapeno. SW's décor matches its steakhouse-with-a-twist cuisine brilliantly, with an opulent dining space that radiates glamour, punctuated by floor-to-ceiling windows framing postcard views of the three-acre lakefront and forested mountain. 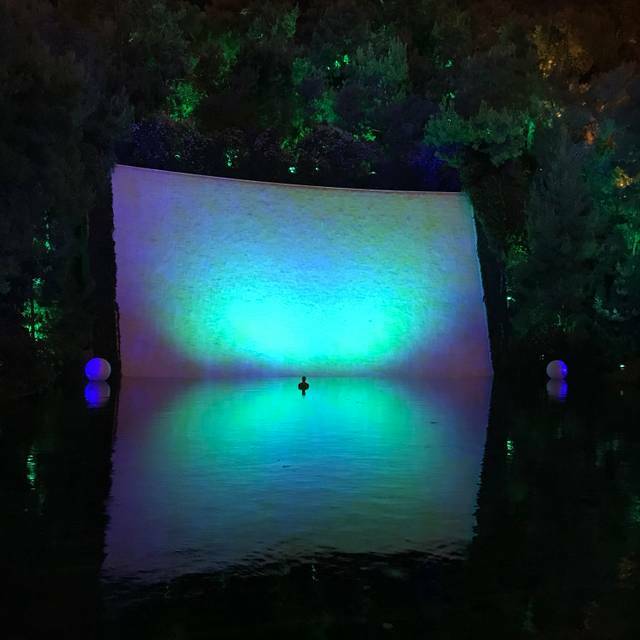 The adjoining open-air dining terrace offers prime views of the multi-media shows of sound, light, video and puppetry that unfold both on the lake and against it's 90-foot tall coursing waterfall. 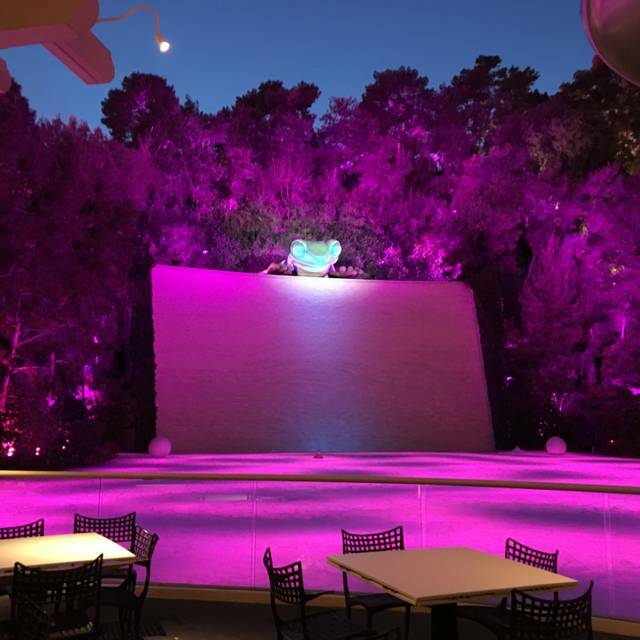 Superb food and wine, in a very nice ambience by the Wynn’s lake and cascade. The beef meat at the SW is simply the best in Las Vegas. The wine list is outstanding also. Inattentive and sub-par service. There was no visible leadership of the staff. Food presentation unattractive. Dress code not enforced. Lake of Dreams uninspiring. Great food but be prepared to pay top dollar for your meal. 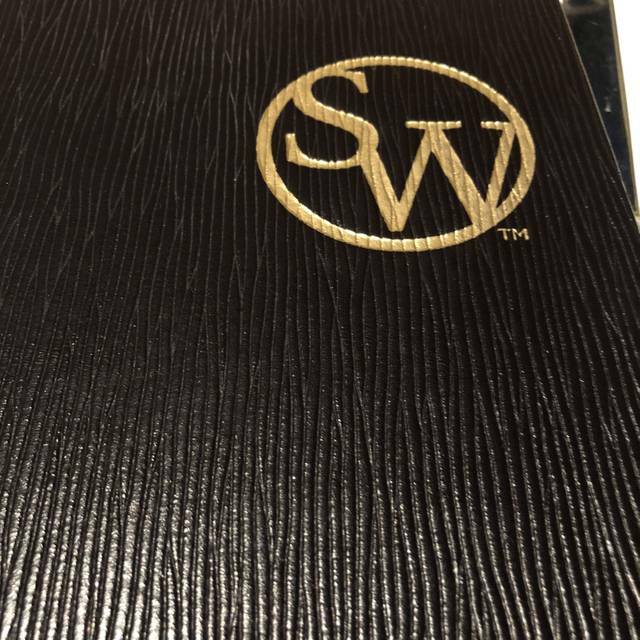 Highly recommend SW Steakhouse, particularly for a special occasion. 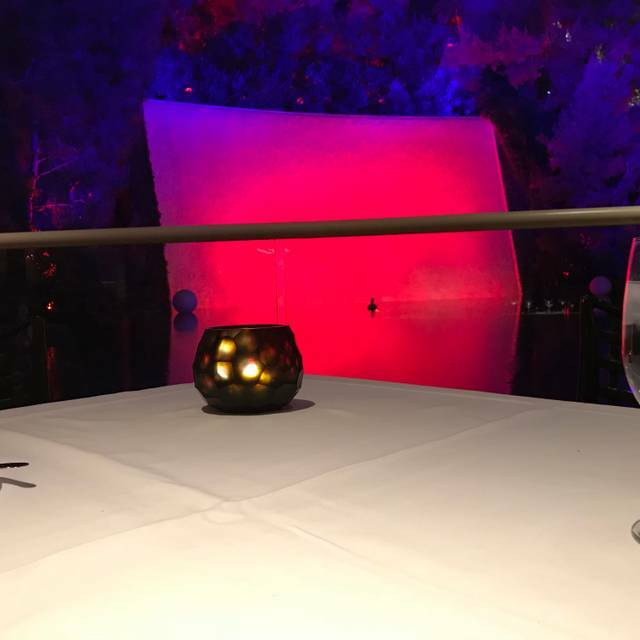 We had a wonderful outside table right off the Lake of Dreams. Both our meals were outstanding, although I my steak was more on the medium side yet requested medium rare. The teriyaki green bean side should not be missed. Indoor dining with an open outdoor view of the waterfall. Amazing wait staff that were never far and seemed to know exactly what we all wanted and needed before we did. Delectable food. My husband could eat steak daily and this is now in his top 3. I enjoyed the tomato and mozzarella salad with the lychee martini. We’ll be back on our next Vegas trip. Our family ate at SW Steakhouse for my son's 21st birthday. SW Steakhouse serves fantastic food. It's truly mouthwatering delicious. I've eaten at many fine dining steakhouses over the years, and SW's dishes are right up there in the top tier. For starters I had the tuna tartar, my wife and daughter had the shrimp cocktail, and my son had the crab soup. For our entrees, I had the boneless ribeye, my daughter had the filet, and my wife and son both had the salmon. Dessert was creme brulee, and they brought out a little piece of cake for my son, which was nice of them. Unfortunately I have to report that the service was just average-good. The servers were very friendly and engaging, but the service itself was very slow, especially after we were seated. It took almost 20 minutes before we received our drink order. As a result we only ordered one drink. That's unacceptable at any restaurant, but a mortal sin at a fine dining establishment. The food came out at average intervals, but it was pretty slow overall. We weren't in a hurry, so the pace was fine; however, not getting a drink for 20 minutes to start the experience really started the dinner off on the wrong foot. We sat in the outside area, which was nice, but it got a little chilly when the sun went down. They eventually turned on the heater, but it was a bit uncomfortable for a period of time. While we enjoyed the dinner, I can't see myself going back when I can pay 20-30% less for a comparable food experience at other fine dining restaurants. The meal before this one was awesome (2015) I can’t say the same for this one. I ordered the “Kobe 9oz Ribeye” which is $260 for the first 4oz and $65 each additional Oz. To my amazement it came out presliced! While it has a good texture and taste it was not near as tender as it should have been. To top it off I ordered medium and due to the outrageously hot outdoor heat lamps (it was 65 out) it was well done by the time I ate it! Service was remarkable and while they tried to move the heaters around to prevent me from melting some guests (wearing dresses and some with skimpy clothes) insisted upon having these heaters turned all the way up. I guess for a $1400 meal for 4 people I expect more in lines with some better steakhouses I’ve been to like Joes in Vegas, Bohanans in San Antonio,Strega Strip in Boston and believe it or Not Mastros In Las Vegas all of which had better steaks and atmosphere. This is one of the best restaurants I’ve been to. The food, service and ambience is amazing. Will definitely recommend and will come back again!!! Excellent display of how to cook a steak. Loved enjoying a meal in this little spot. Fernando is our favorite waiter, we are always lucky to have him. We love the Sanuki Wagyu steak, but for the first time, it wasn't available. We love the caviar and the Barolo and Dom by the glass. Please bring the Sanuki back. We had lobster and steak. The lobster was delicious but the steak horrible, the worst steak I had in my life. I am surprised because this is steakhouse, steak should be the best thing on the menu. Steak was super dry it was extremely hard to swallow. I ordered wine and it was bad too. The table we got was nice, right by the window and the bite size cake my fiancee got for his birthday was nice too. Would I come back? Maybe... if I pick to have dinner on my vacation for steak. I want to make sure my steak is great. Ordered the Filet Mignon and was not disappointed. It was cooked to perfection. The service as wait staff were exceptionally attentive. The lake side view was awesome. Nice quiet place for a special celebration. My wife and I went before a concert being held on the property. I was immediately impressed when the hostess ask us if we had time constraints as in a later engagement. After being informed of our concert, the hostess advised our waiter which relayed to him being mindful. Drinks when the drinks came we found them “not” skimpy in the liquor. The food “steak and halibut” were cooked perfectly. Surely worth splurging to treat our brides. Amazing restaurant. Food was fantastic and the atmosphere and setting where out of this World. SW is our "go to" place for all special occasions and special guest. All the foods are outstanding, but of course, the real Kobe beef is amazing. But if you are a seafood person, the scallops are amazing. The service is attentive, friendly and not overbearing. You never feel rushed and yet the pace of the food is fairly prompt considering the quality. An excellent wine cellar with very knowledgeable staff never steers you wrong - even when it's only a single glass. Don't forget to bring your parking ticket and have it validated for free parking when you spend over $50 (which you will). The waiter will take care of that for you. We eat steak all over the US and this is the most memorable steak restaurant we’ve ever been to. So good that 6 years ago we came here and talked about the steak for 6 years until we came back recently. We love the dry aged porterhouse,all of the sides, fois gras- everything is delicious - even the salads. The service here is outstanding. We had at least 3 servers looking after us every minute. Atmosphere can’t be beat and ask for a waterfall view. 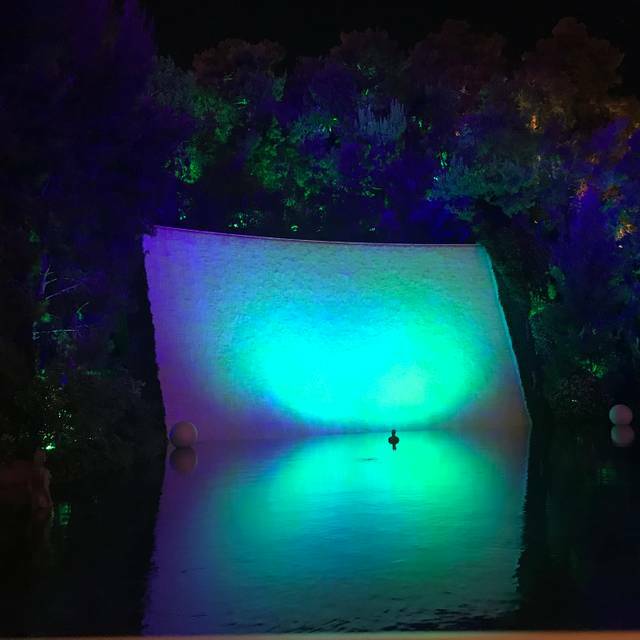 At night the lights change in the waterfall and in the forest and every 90 minutes there is another surprise outside. Gorgeous place. Doesn’t get much better than this. Ordered my steak medium rare and it was basically well done. Very little pink. When I complained to server...he said it was because of the light in the restaurant and it just looks well done. LOL. OK buddy. 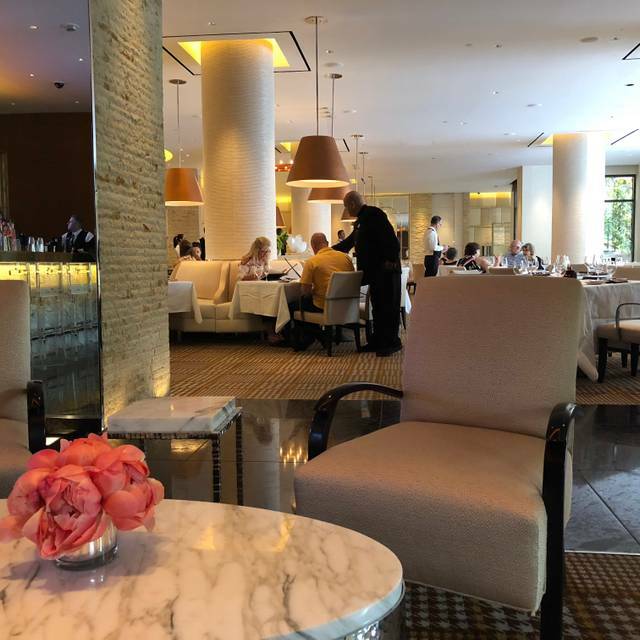 We were on a Anniversary trip and staying at the Wynn so we decided to try the SW. Food was delicious. The scenery was fabulous! I would definitely recommend it for good food. Steaks are great but save room for the Rocky Road! In Vegas on vacation. One of the best meals I’ve had. Our entire table enjoyed dinner. Wonderful service. Didn’t rush us. First time I felt that these prices were worth it. Excellent. SW is my favorite steak place on the strip. Would recommend to anyone! It was great, the meal was nearly perfect. The restaurant was mostly empty most of our meal which was nice for once. For some reason they sat a table right next to us in the empty restaurant as we were having our cappuccino. Not really a big deal but it seemed like an odd decision. I don’t want to sound picky but it took away from the whole experience. The meal ended with a “do they want us to leave” or “are these the open table seats” vibe. Amazing evening!! We had an unforgettable evening at the SW Steakhouse as we celebrated our 1st evening in Las Vegas as well as my husbands birthday. Excellent and very personal service was provided, even the manager came over to welcome us to the restaurant. The atmosphere was so calming and peaceful. The food was excellent!! Thank you for a great evening!! Birthday dinner... food was good. Fantastic food, ambience and service. The chateaubriand was prepared perfectly and so tender you could cut it with a fork. Our waiter was very pleasant, timely and we really enjoyed his humor while providing absolutely outstanding service. We will be back. Food and atmosphere and service was amazing!! My steak was perfectly done. The restaurant runs on team service which was nice as there was always someone to help. A friend of mine ordered the foie gras which was burned (???) and my first drink was made incorrectly. We sat next to the water, which was lovely but the “show” that came out every 20 minutes was just weird. Went w/ buddies and it was their first time there. We all had a great experience & the meal was awesome. All the food is outstanding! Service is top level. The water show ups the fun. Try the seafood grill and the ribeye.